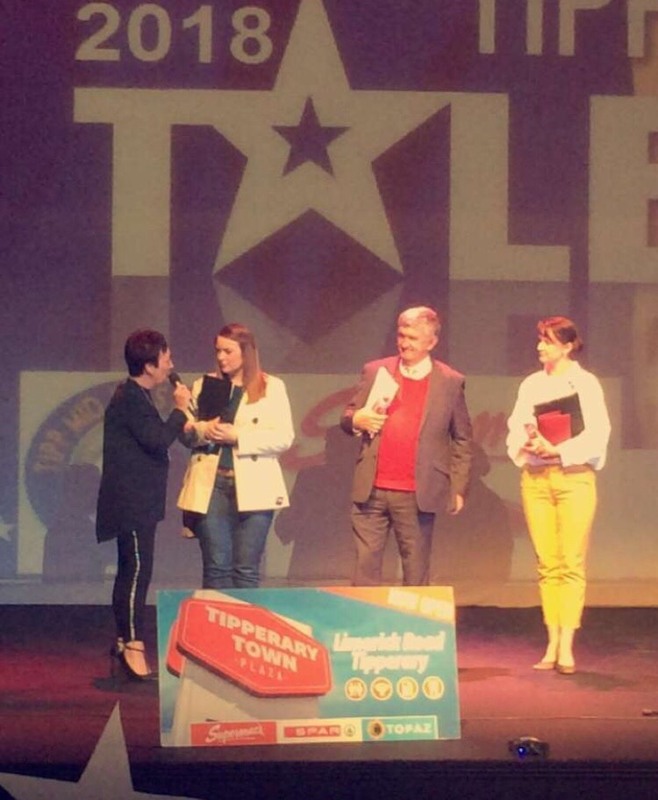 The weekend saw Tipp’s Got Talent semi finals take to the Tipperary Excel stage on Friday and Saturday night. With 14 acts on Friday and 16 acts on Saturday, the judges had an extremely difficult task of choosing 6 finalists from each night and 4 wildcards. On Friday night the Sunday Morning Singers under the leadership of Helen Colbert and John Murray entertained the audience while judges made their decision. Caroline Brahan was a fantastic MC on both nights, and will hand over the reins to Jim Keane for the Grand Final. Next Saturday will also see Pride of Tipperary Megan Morrissey join the judging panel of Miriam Ball, Brigid Whelan, Michael Ryan and Mairead Breen. Entertainment acts for the Grand Final on Saturday 29th will be last year’s winner, singer-songwriter Eilish Hassett, and another top secret special guest... trust us, you won’t want to miss it! There will be a cash prize on the night for the Best Banner so make sure to support your favourite acts! The winner will take away the top prize of €700 and the TGT trophy, with €200 & vouchers plus €100 & vouchers being awarded to 2nd and 3rd place, with thanks to Tipperary Town Plaza, the main sponsors for this event. Tickets on sale now from Tipperary Excel at 062 80520. €12 adults/€8 children/€25 family. Thanks also to our media sponsors Tipperary Mid West Radio. Finalists: Caoimhe Carey, Ben Hannigan & Kayley Glasheen, Rachel Coleman, Clodagh O Meara Ryan, Shauna Frewen, Katy Judge, Eimear Hennessy, Micheál O Dwyer, Kelsey Crowe, Sara Cuss & Abbie O Dwyer, Zoe Gavin, Richie Crowe. Wildcards: Niamh Lonergan, Leonie Keating, Clara O Brien, Ben O Sullivan.